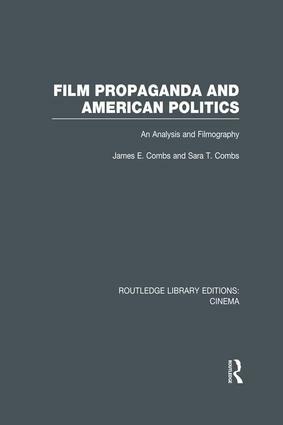 Originally published in 1994, this important book traces the rise of film propaganda in the 20th Century, discussing specifically how film can be used to manipulate public perception and opinions. Two distinct areas are covered: war propaganda, including feature and documentary films regarding warfare; and civilian propaganda, including films that address a variety of political subjects. Although the focus is American film and American politics, this book offers insights for all those interested in the affect of film on the minds of citizens of any country or state.